Disney’s latest movie-musical, Beauty and the Beast hit the screen two weeks ago and it has dazzled and delighted audiences as well as the producers. Though what does Luner on Theatre think about the new film that spans just over two hours. The movie starts off quite rushed and before you know it, “Be Our Guest” is being performed. The added back stories regarding Belle’s mother and the Beast prior to his creature state are unique to the film, yet fitting. And speaking of fitting… original songs not apparent in the original, animated film or musical blend very nicely into the storyline. Although the plot wasn’t authentic at times, the title songs were spectacular from top to bottom. The one title song missing that was a true choice to cut was “Human Again.” Yet other cuts from the musical and original movie were made in good taste. The artistry was exceptional and audiences truly felt for the enchanted objects as the spell was set in stone. Yet emotions were unavoidable as they eventually became human again. Top performances came from Gaston (Luke Evans), Lefou (Josh Gad) and the added character of the Maestro. Finally saw Beauty and the Beast. Luke Evans as Gaston stole the show, and Josh Gad as LeFou was absolutely hilarious. Loved it. 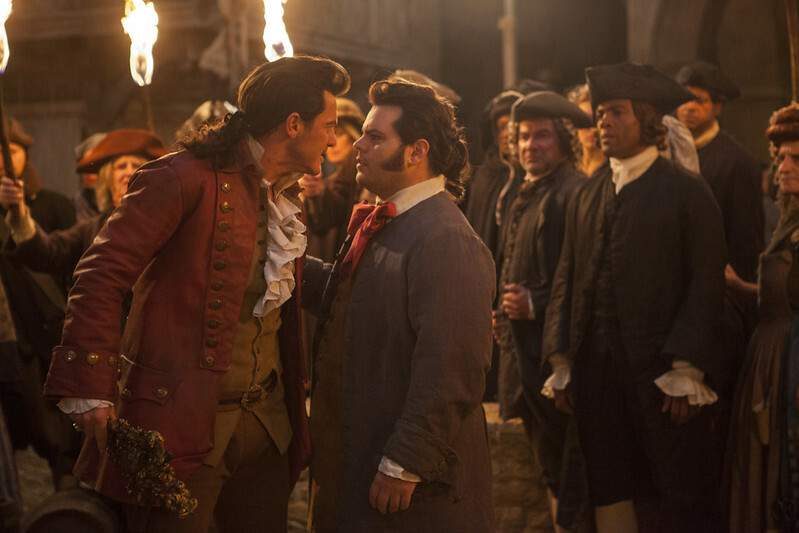 While were on the topic of Lefou… the hubbub of his character being gay was overdramatized and out-of-place. While the creative choice wasn’t subtle throughout the film, it wasn’t overbearing either and I believe it added a unique touch to make the film more relevant in today’s cultural climate. Overall, I was thoroughly pleased from start to finish of this film… and obviously others agree as it continues to make waves at the box office. If I had to rate… I’d give it a 8/10 and I definitely recommend for all audiences, regardless of what the critics say.